Our high quality Christmas trees set us apart from the rest. 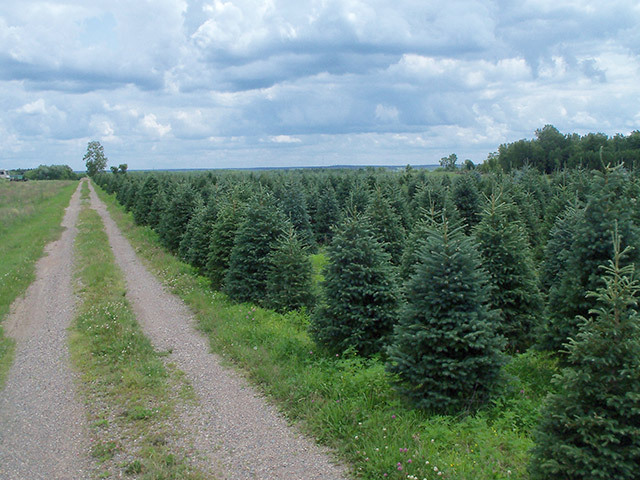 We have hundreds of acres in Christmas tree production, this allows us to choose the best trees to meet your sales needs. Dave and his son directly supervise all field operations. We are "hands-on” workers who are not afraid to get dirty. We spend extra time shearing each tree to make sure it has the best possible form and structure. 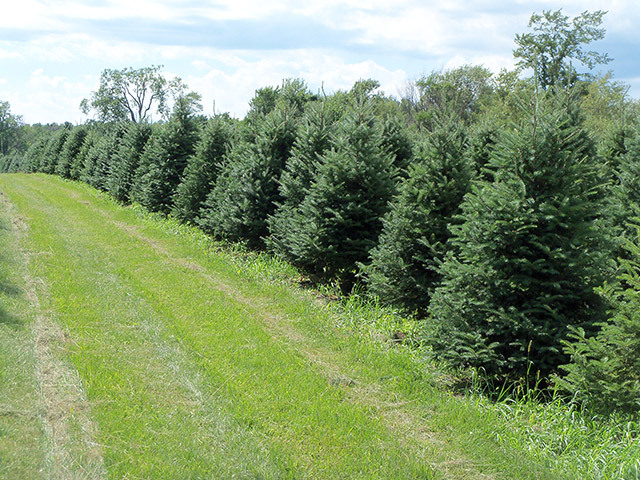 Weed control along with well-timed fertilizer applications give our Christmas trees great color and vigor. It is this attention to detail that keeps our customers, both large and small, coming back year after year. 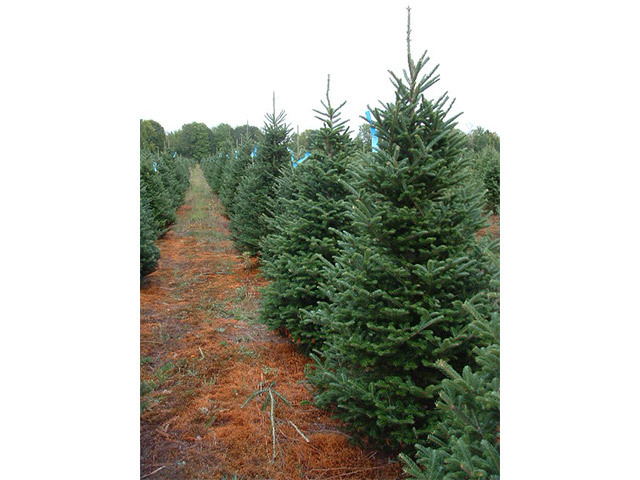 We grow all the varieties of Christmas trees that you need to supply a successful retail lot. 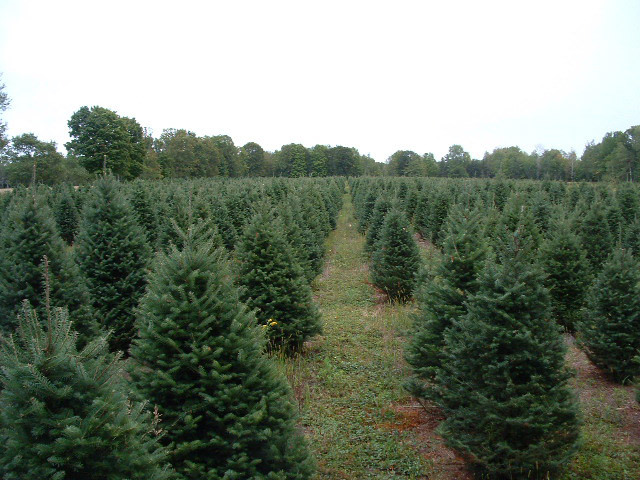 Our Christmas trees include: Fraser Fir, Balsam Fir, Canaan Fir, Scotch pine, White Pine, Black Hills Spruce, Meyers Spruce, and Colorado blue spruce. 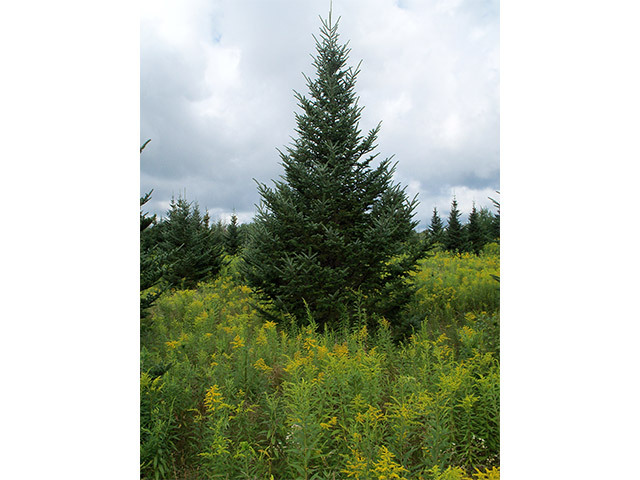 Trees range in size from table top to 25’ tall. We can also meet your Wreath, Roping, Evergreen Boughs, and Velvet Bow needs. 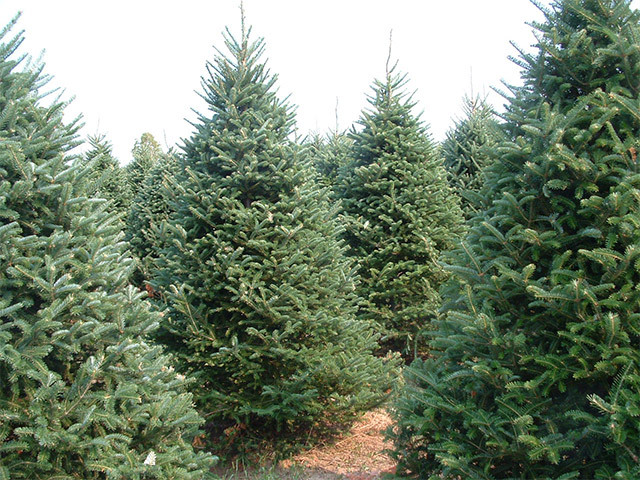 We hope you will give us a chance to meet your Christmas tree needs. Please feel free to stop and visit our farm.